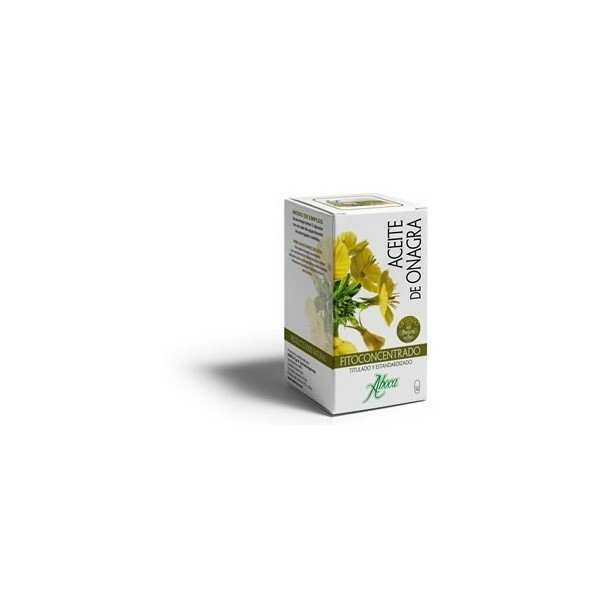 Aboca Fitoconcentrado Evening Primrose Oil 50 Capsules The Evening Primrose Oil Fitoconcentrado concentrates all functional substances in the seed of this plant, traditionally used for its beneficial properties , providing a practical, effective and convenient decision . The oil fraction of the mature seeds is by nature very rich in polyunsaturated essential fatty acids, particularly gamma -linolenic acid . The Fitoconcentrado Evening Primrose Oil is obtained by cold pressing of the seeds, without the use of chemical solvents, to keep you integrate all functional substances and organoleptic characteristics of the oil fraction. The rigorous selection of raw materials , quality control of systematic and analytical laboratory checks throughout the manufacturing process ensure the standardization and the highest product quality. How to use : it is recommended to take 2 capsules with a glass of water during meals. ingredients: Evening Primrose Oil ( Oenothera biennis ) seeds, gelatin ( capsule).